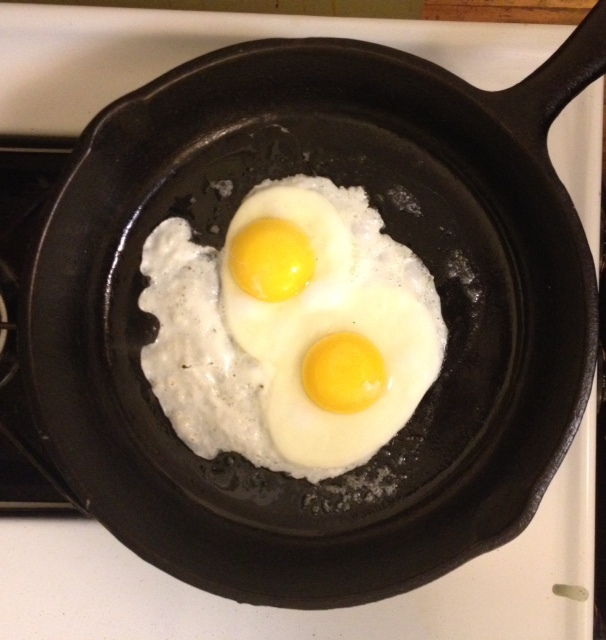 A cast iron pan is the absolutely perfect cooking surface. Frugal ’till the end, you buy it once and it’ll still be around for your great-grandchildren! I picked up a couple packets of cheap Christmas-theme cookie mixes at The Grocery Outlet. No reason to think they couldn’t be used for Valentine’s Day. Frugality is part of every aspect of my life. Yet it’s a rich and wonderful life. Funny how that happens. Being frugal does no mean living poor. Just like you said, I am too, living frugally a very rich life. Thanks for your daily inspirations. Love your blog and the group of people who stop by here and on your FB Page. I’d far rather be frugal and sleep well knowing I’ve covered my expenses than live extravagantly and wake up in a cold sweat worrying about my bills. I am not deprived by living frugally — I’m enriched! 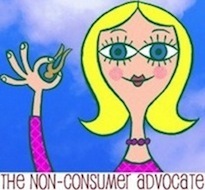 No one reading this blog can possibly think that Katy and her family are living a sad life because they live frugally! 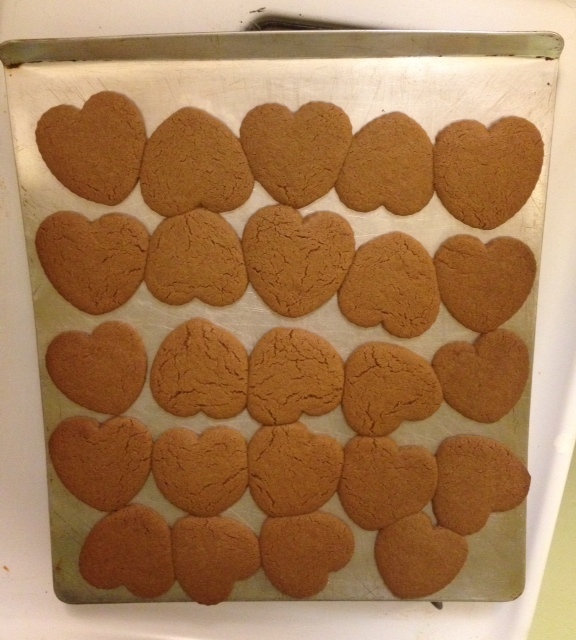 “Love”the cookies! I do the exact same thing. Frugal things can still be special. Maybe even more so because they require creative thinking. Katy once again has illustrated that frugality combined with a positive outlook equals a life of abundance ! Don’t sell that cast iron pan you bought at Goodwill recently. You can give it to one of your kids who will want one long before you’ve quit using yours. I haven’t tried to sell it yet. And my kids are still a few years from having their own households. 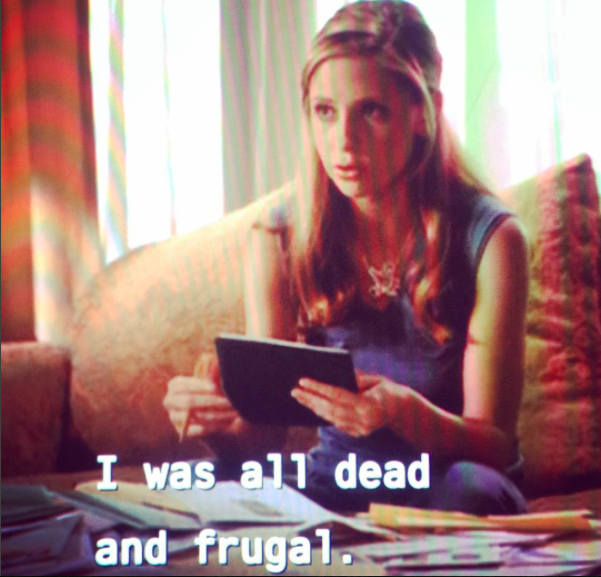 Incorporating Buffy into a post about frugality officially makes you my hero! The truth is that frugality allows for some flexibility in lifestyles – including giving in to children and buying them stuff they want and do not need, indulging in an enticing magazine or book on the sale table etc. Also it is always challenging – no one ever achieves perfection. Plus – the smug satisfaction of looking down “on the Jones” and their excessive spending habits – (did I mention that frugality is usually better for the environment?) yes a full and rich life with loads of side benefits. A fun post. I love to use clearance Christmas stuff for Valentines day. I feel good when I get bargains and I love that everyday frugal living allows us to be free from debt. When my son was in elementary school, I would buy the discounted Christmas season Hershey’s kisses and use the red and silver foil one’s to put on his Valentine’s to share with the class. Wondering if you would share what method you use to season your cast iron pan; I am new to this scene and am having a bit of trouble with food sticking. I cannot seem to fry eggs in mine without them sticking. What am I doing wrong? It’s not just a fun challenge, but it makes me feel good when I act responsible with my life and money! For me, Amy D. of the Tightwad Gazette put it perfectly: Frugality without creativity is deprivation. I am a creative person, but can’t paint or draw, and my sewing/handicraft skills run to the strictly utilitarian. But frugality allows a lot of room for creativity and becomes fun. When we needed a container to keep the cats’ bags of treats separated from the bags of medicinal supplements in treat form, an unfrugal person would have run to the store and bought something that might of kinda worked. But this frugal person fished a box out out of the recycling bin and crafted something that works perfectly and fits the space allowed. My husband, who is in charge of treating the cats, loves it, and it’s cute and didn’t cost anything. that’s the fun of frugality. You have the mail on the head! I love the creative challenge and find it extremely satisfying of living such a rich life on a budget. I’m in charge of hospitality for a group that hosts Arts programs six times per year. Attendance ranges from 90-150 people. We have a big to-do for Christmas. In January, I buy clearance New Year’s party goods. February Valentine’s theme uses the red stuff from Christmas, March St. Patty’s Day uses the green stuff. April is a Spring theme because we own bright blue table cloths. This year, I’ll be watching the post-Easter markdowns for heavily discounted items to match. Lather, rinse repeat. “Silverware” that the warehouse stores sell. Sure, they’re expensive initially, but so much less waste! Plus, I found some unopened sets at an estate sale. I could “afford” them on my budget, ’cause thanks to Amy D and Katy, I can stretch $600 halfway around the moon. that is so creative and clever, kudos to you. and as Katie says, much better for the planet. I admit until our oven caught fire last year and we replaced it with an induction oven, I never used a cast iron pan. Next weekend, I am having a Downton Abbey themed tea party dinner for Saturday night dinner, and I am going to try and make an old fashioned sugar cake in the cast iron pan for the first time. Being able to pop a pan in the oven is such a new experience. I have several pans from my grandmothers in my home. I’ve found them easy to resuscitate. I was told by my Granny to use salt and a waxed paper to rub away crust and rust on a pan. It takes some doing let me tell you. And then I season them up nicely and find they are smooth as satin and long wearing as they probably have been for 80 years or so!